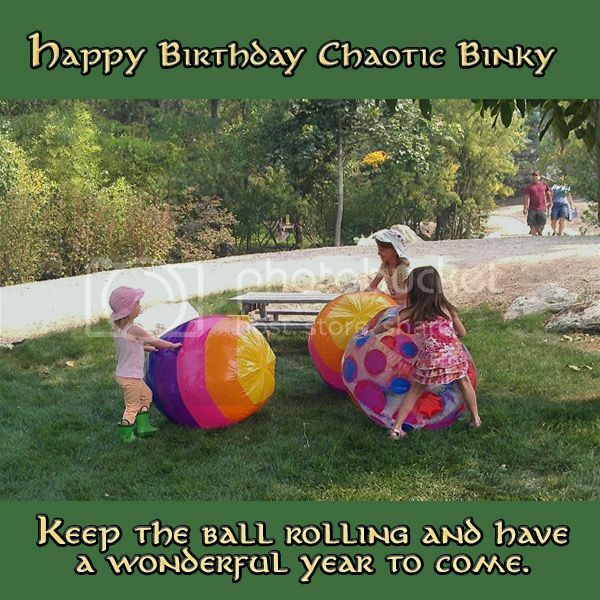 It's your birthday, Binky. Once again I have the privilege of wishing you a wonderful day of celebration and a joyous and peaceful year ahead. I wanted to find you a picture of children at play because of your lovely grand-daughter and I think I found the perfect one. You're such a contributor to fandom and a wonderful friend. I hope we can meet some day, but until then, I feel honored to at least share words across the pond. I had a lovely, sunny day eating lunch in town followed by wandering around wherever our feet took us. A thunderstorm is about to start, so it is a perfect end to the day.